Among the leading focus points in our work are the accelerated introduction of digitalization and innovations in tourism as well as the successful realization of young people in the country. Only in this way can we offer a competitive and high quality product. 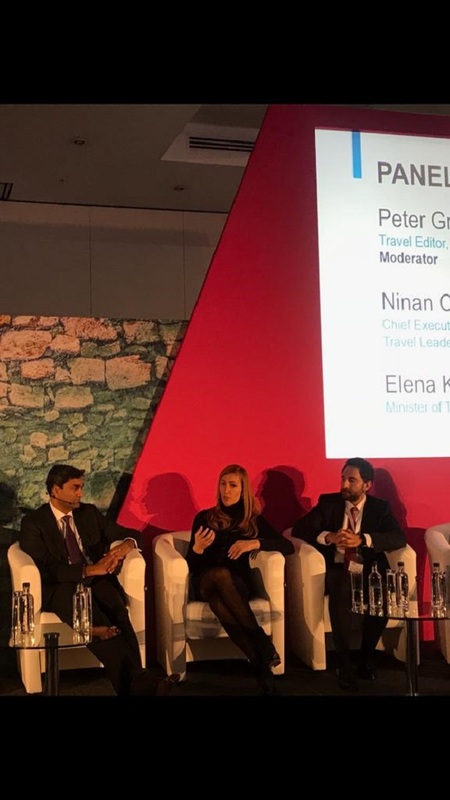 This was stated in London by the Minister of Tourism Nikolina Angelkova who was a panelist at the World Travel & Tourism Council’s international forum dedicated to the challenges before the modern tourism. The conference took place at the WTM International Tourism Fair. Minister Angelkova reminded that the results in the sector after the establishment of the Bulgarian Ministry of Tourism as an independent institution have been indicative: the growth of tourist visits of foreigners for the period January-September 2018 is 31% compared to the same period three years earlier. Besides the traditional summer and winter tourism, we also advertise many specialized services such as thermal and SPA, cultural and historical tours, gourmet, wine, golf, hunting, adventure, eco, rural, festival tourism, etc. It is very important to know what our guests want to see in our country and that determines the focus of our advertising and marketing policy. This is impossible without proper communication with people. Our position is public and we work for them, so any feedback is particularly important. Tourism has contacts with many sectors and so the efforts of the business need to be united in order to achieve good results on the horizontal chain. That is why we pay great attention to the training of the cadres who are the face of tourism to our foreign visitors, Minister Angelkova said. She reminded that the staffing issue was one of the most topical ones in the country, including in tourism. For this purpose, a specialized inter-departmental council was set up to look for solutions to the problem in partnership between the state, the business and the non-governmental sector. We work very hard with students and young people who choose this profession to make them feel good about it and keep them in their homeland.